How To Properly Sharpen Lawnmower Blades? You need to ensure that the blades of your lawnmower stay sharp to ensure quick and clean cuts. During the main cutting season, it may be necessary to sharpen the blade regularly. With enough care, it should be quite easy to ensure that the blade of your mower is perfectly sharp, so the result of cutting remains clean and precise. After a period of usages, the lawnmower blade could become blunt due to contact with hard twigs and small stones. You will see that blades will be dented along the sharp edges. You may end up ruining the overall results of your lawnmowing job. The first thing that you should do is to remove the blades from the lawnmower. Check the user’s manual on how to perform this task. If your lawnmower runs on gas, make sure that the liquids won’t spill into the air filter and carburettor, as you turn the lawnmower onto its side. After the blades have been detached from the lawnmower, the first task is to clean them. It could be better to remove grim and grass clippings that could be embedded on the blades. The sharpening task should be much easier to do if the blades are perfectly clean. You may perform proper cleaning task with hot soapy water and a clean cloth. It should be quite easy to remove any dirt and debris, especially if they are not oily. In order to prevent the formation of rust, it’s a good idea to dry the blade using clean, dry cloth. Once the blade is cleaned, it should be quite easy to notice any dent and nick that we should focus on. If blades are bent and have cracks, then it is a good idea to get replacement blades. In general, it should be relatively straightforward to sharpen the blade of your lawnmower. These blades should be placed securely into the bench vice, so they won’t move easily as we start sharpening the blades. Once these blades are properly secured, we should use metal file to proceed with the sharpening process. Gently push the metal file down the lawnmower blade. We need to continue doing this until these blades have shiny and clean edge. It isn’t really necessary to make these blades to become razor sharp. It should be enough to sharpen these blades to a level of sharpness similar to butter knife. It may take some amount of experimentation to determine the angle when we file the blade. Due to differences in the shape of the lawnmower blade, the angle could vary from model to model. Once the metal files are properly sharpened, they need to be placed back to the lawnmower. In this case, we need to make sure that the blades are properly balance. Visually, the blade droops when it is not balanced and we need to make proper adjustments. 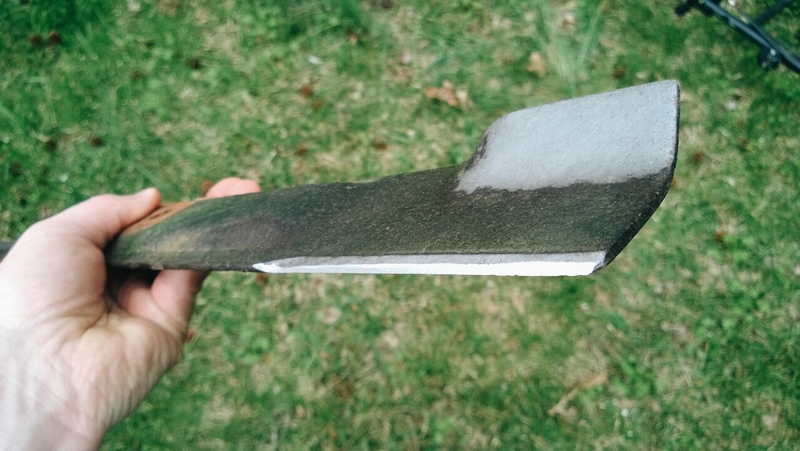 By taking enough time to sharpen the lawnmower blade, we should be able to ensure neat and clean cut.